Woman running hands through hair. Shared needles & AIDS. A= yellowed. "No seÌ si compartioÌ con otras las agujas ... pero eÌl no me hizo caso. Por eso ... lo dejeÌ." A young Hispanic female is featured in this poster. 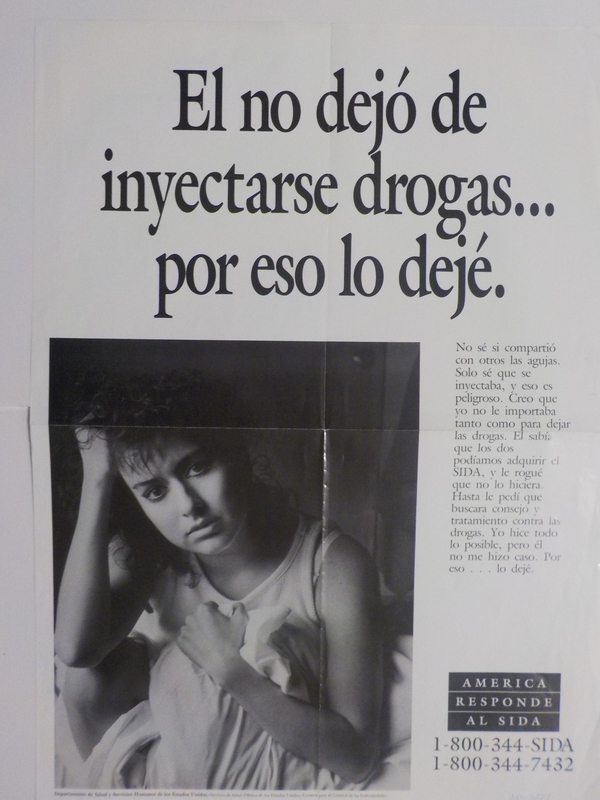 The text discusses how one woman left a relationship with a drug user to avoid becoming infected with HIV.